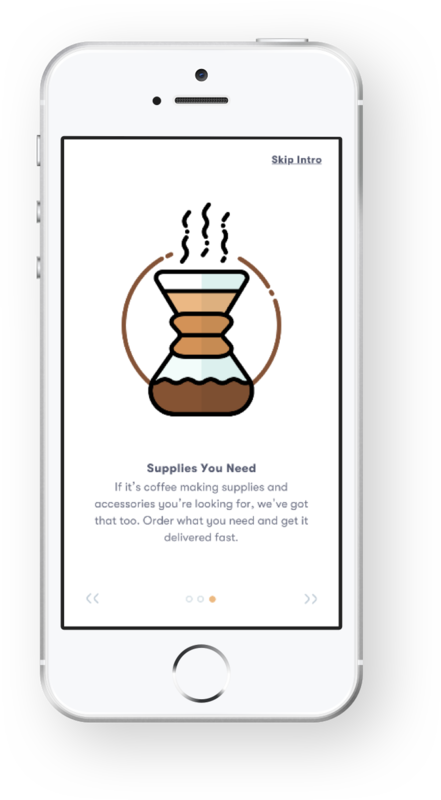 Design an app that allows users to get coffee and coffee supplies from shops in their local area quickly and easily. 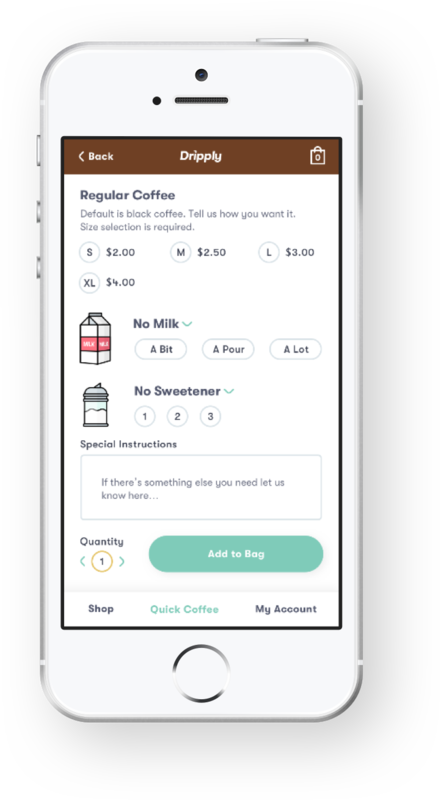 Improving the process of finding the best local shops, arranging pickup or delivery, and giving users the ability to put in their order before they get to the shop for easy caffeine access. 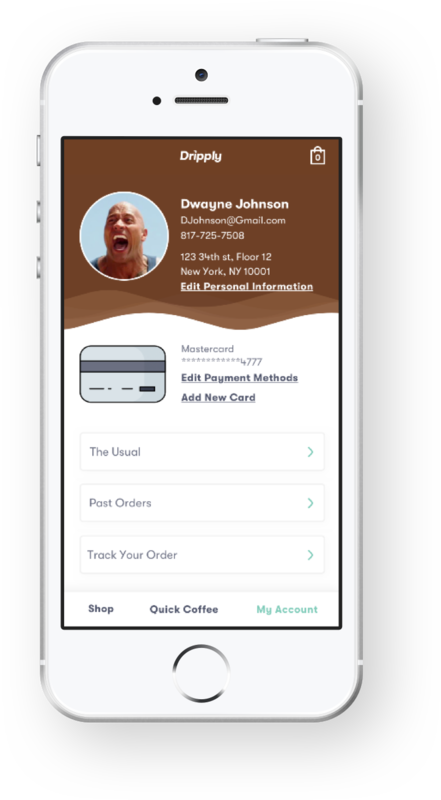 This project was a chance to flex some UX and design skills, with that being said this project was not done with a team, all UX, design, and illustration is custom made. 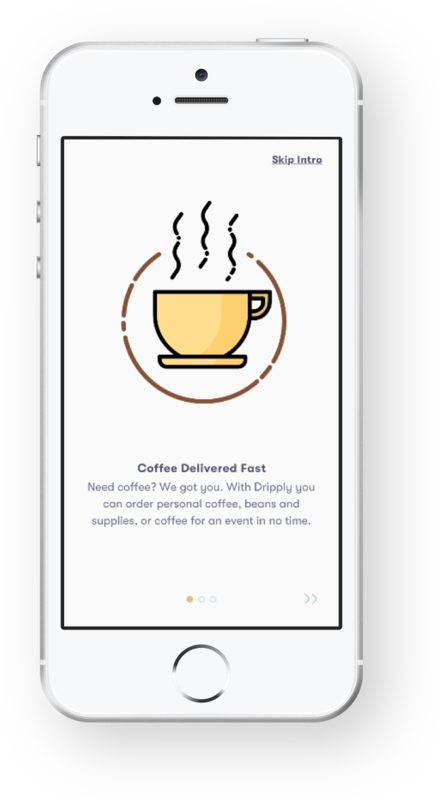 Act as a medium for users and coffee shops to interact easily to prevent backup in shops and unnecessary wait times. 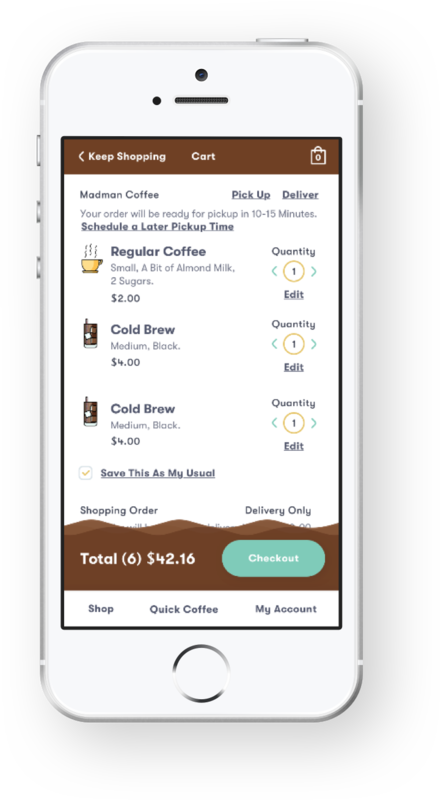 Features that allow users to set their 'usual' and quickly place orders for pickup or delivery make it easier than ever to get in and out of the coffee shop. This is just a few select screens, if you want to see it all check out the prototype. These are just some select screens, to see them all check out the prototype. 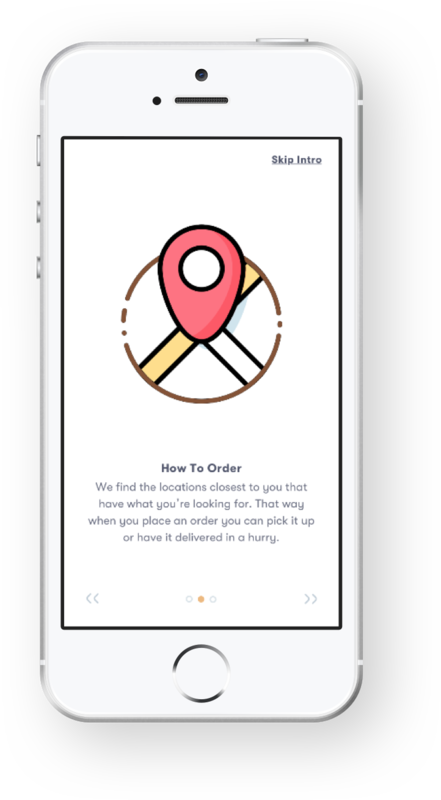 The look for the app is fun and energetic with vibrant colors and simple illustration. 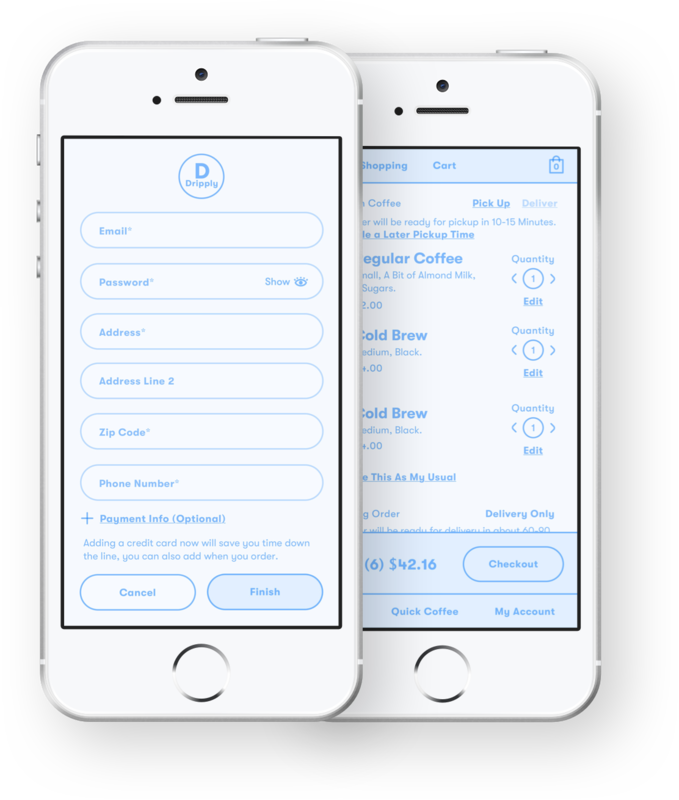 The use of rounded corners and buttons as well as warm, bright colors gives the app an approachable feeling while also helping to maintain a simple aesthetic. The primary and only font used in the app, GT Walsheim Pro, is well rounded and has playful character while maintaining great legibility. 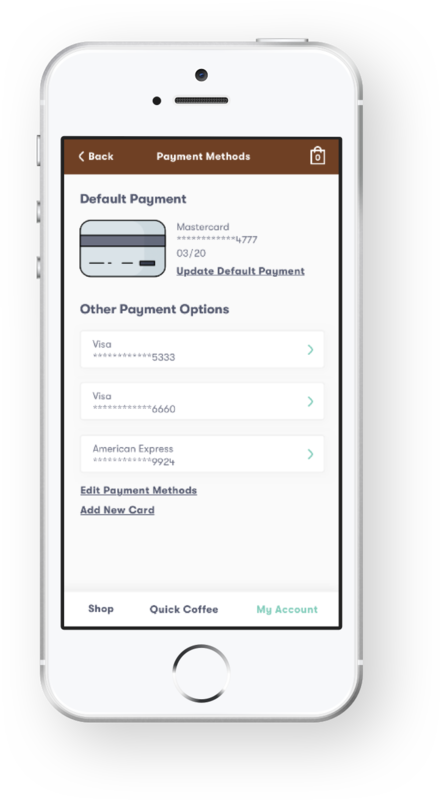 Starting with user flows, the whole app was wired out starting with the onboarding flow, through shopping, account settings, and eventually the checkout flow. 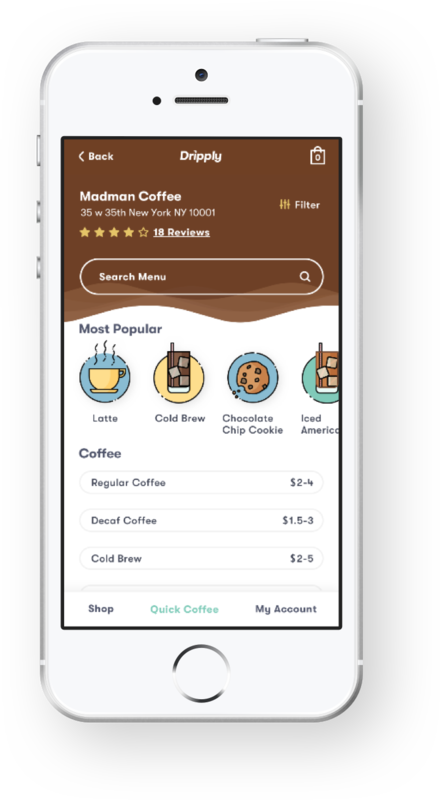 The user persona chosen to represent these paths was that of the average urban coffee drinker, someone who buys coffee from the shop near work, or near home, at least once a day five days a week. They have a favorite shop, and frequently order the same thing or few things each time they visit. Let's get in touch, drop me a line.